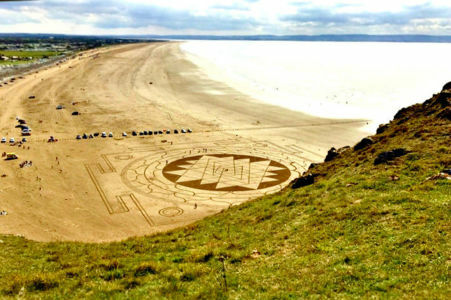 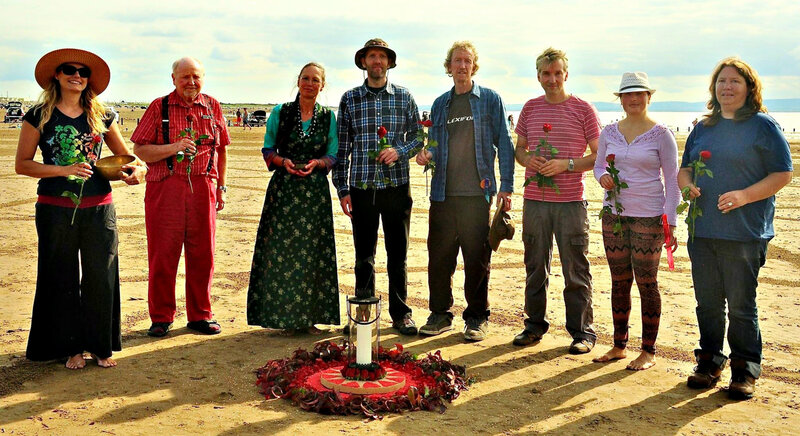 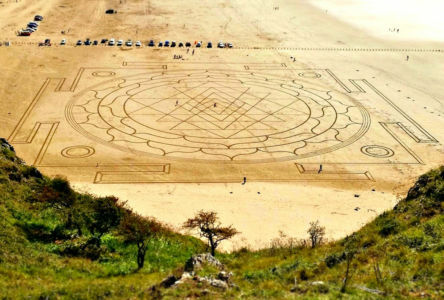 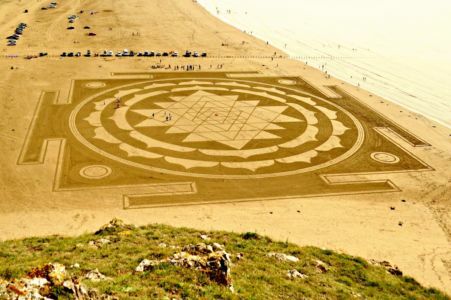 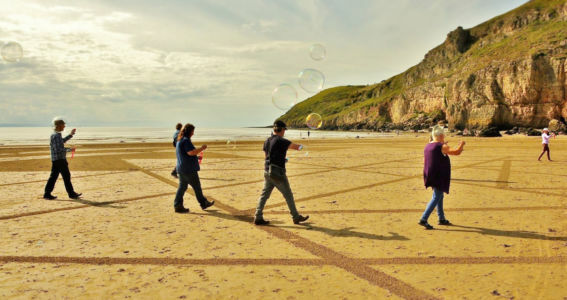 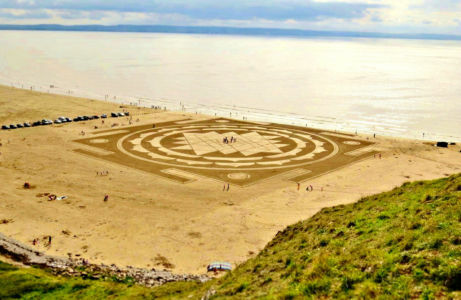 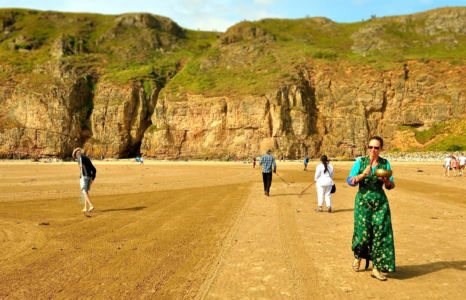 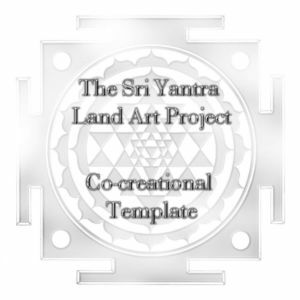 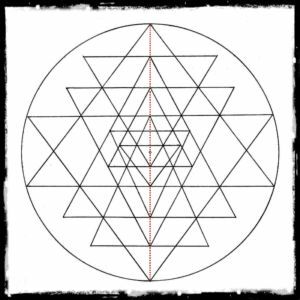 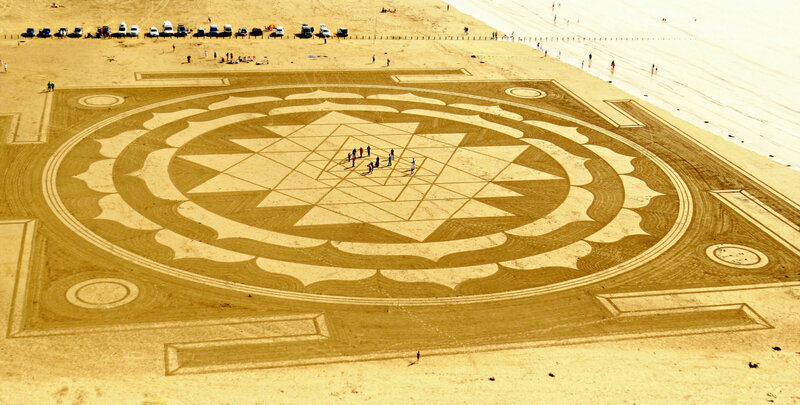 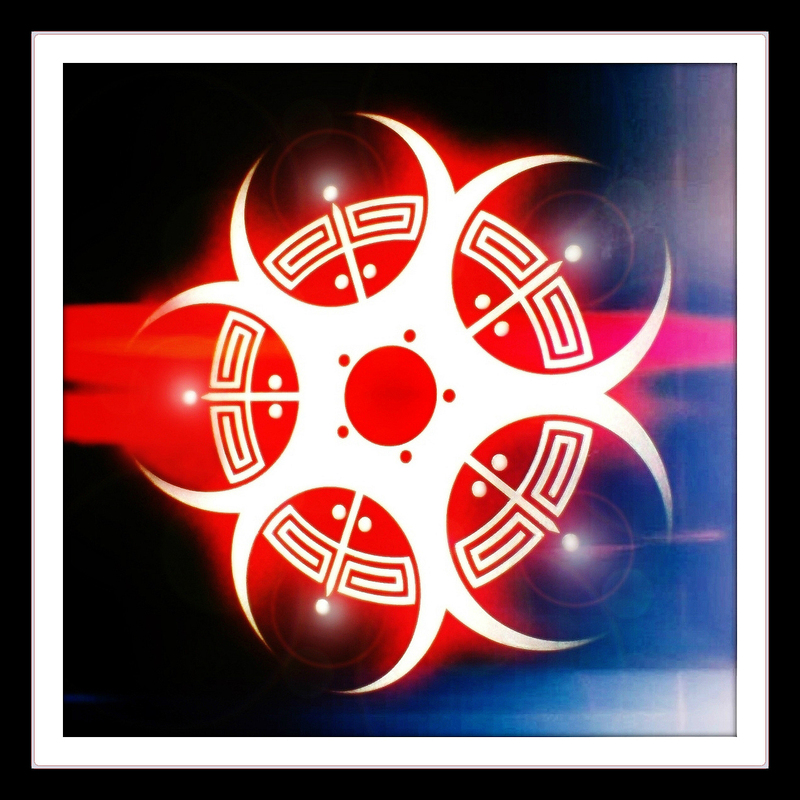 Sand 49 ‘Sri Yantra’ ~ 2nd September 2017 ~ Brean, Somerset, UK. 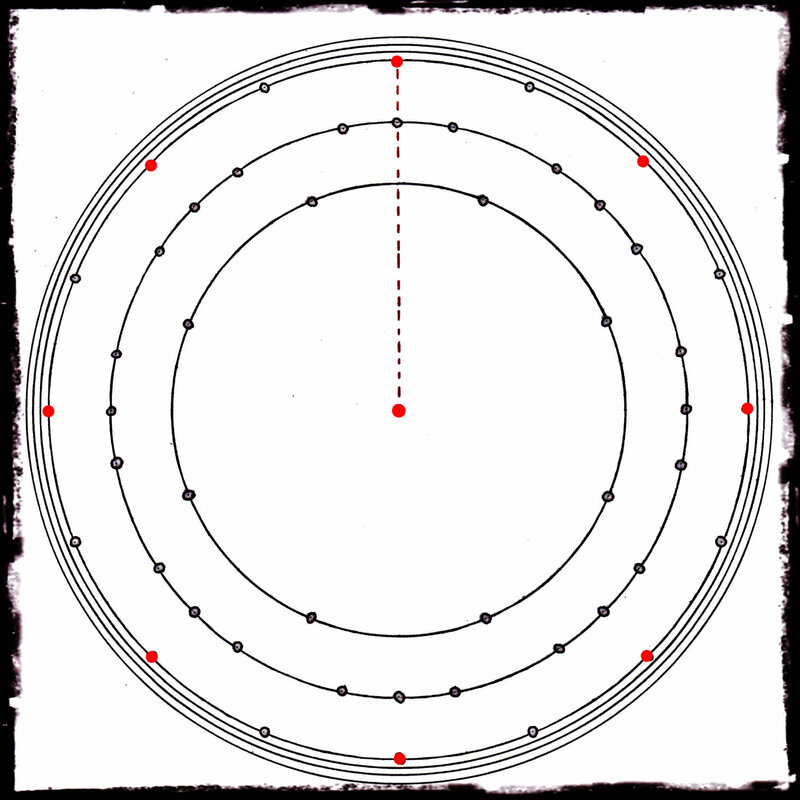 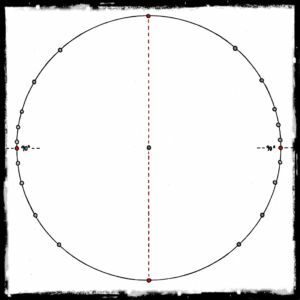 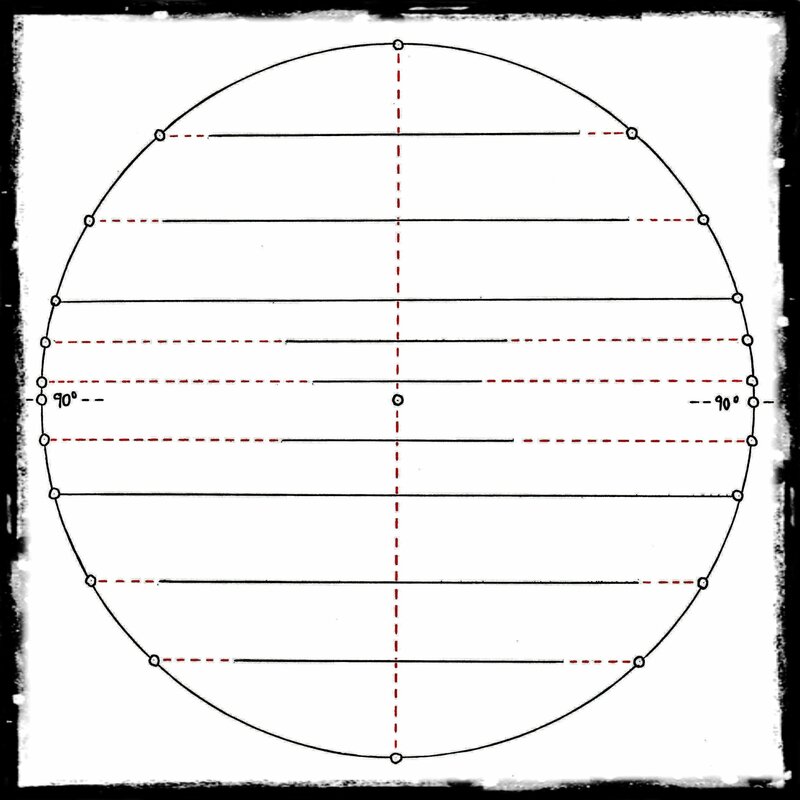 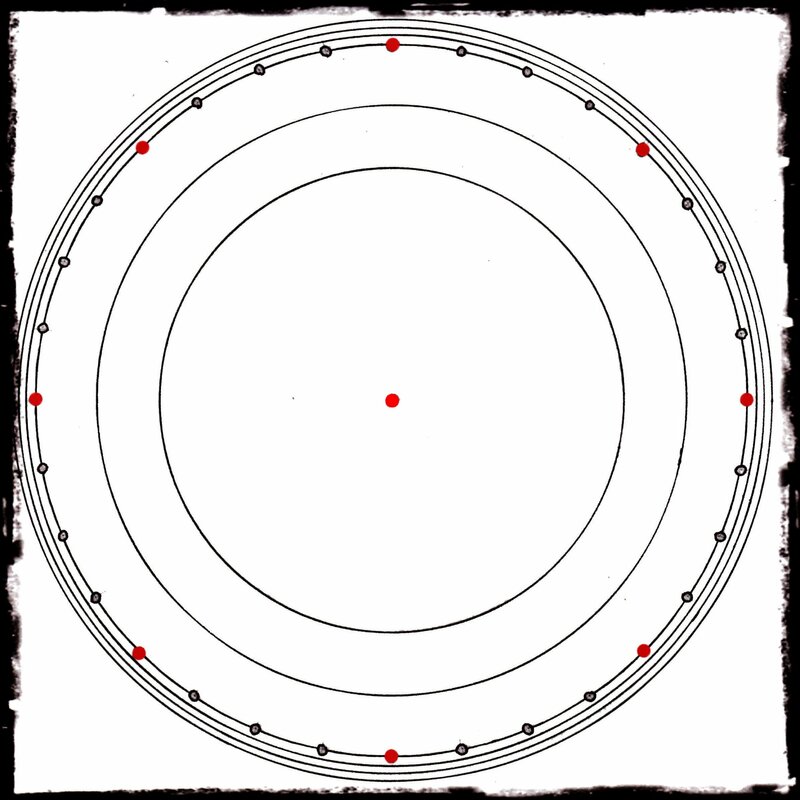 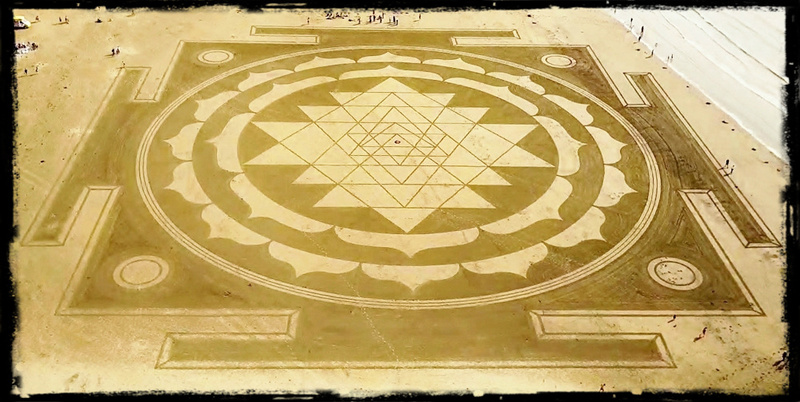 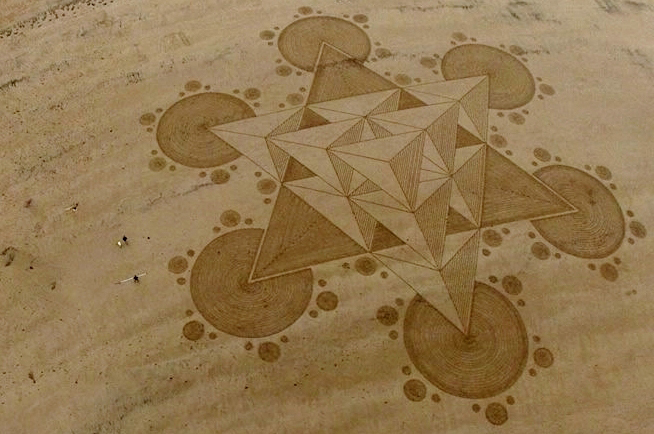 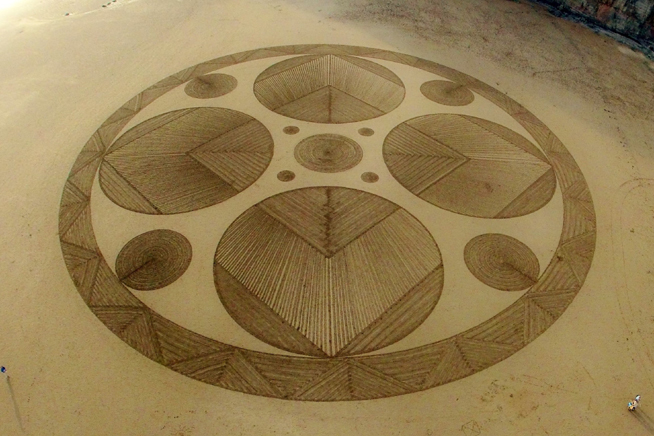 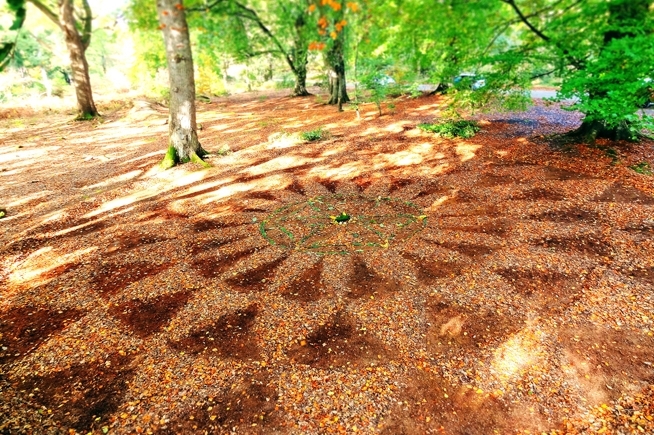 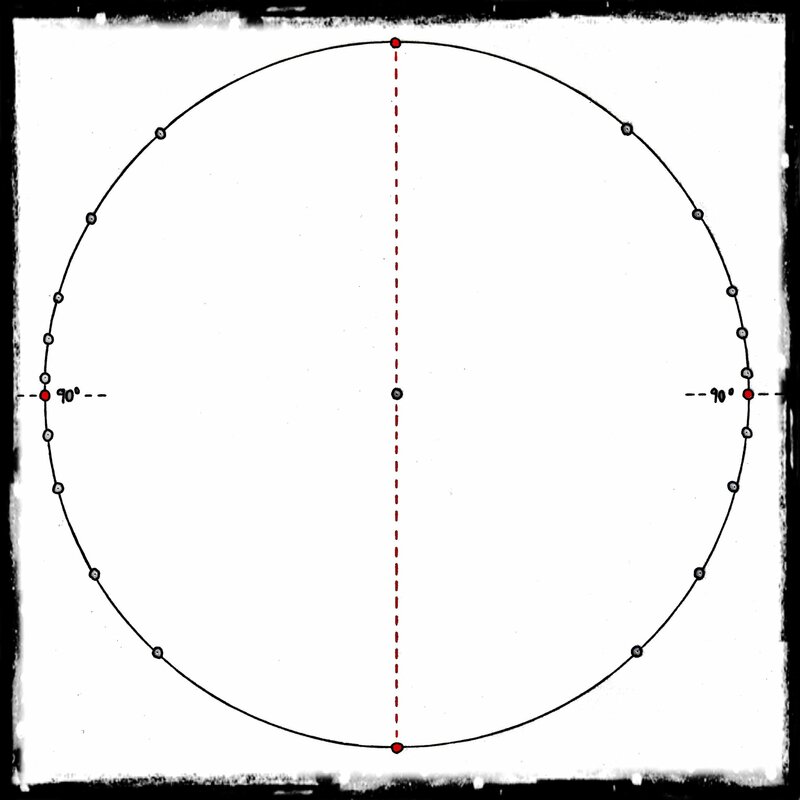 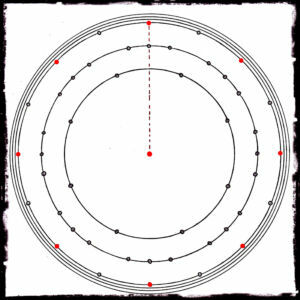 For anyone interested in geometry, this will give you an insight into the preliminary work that goes into my land art. 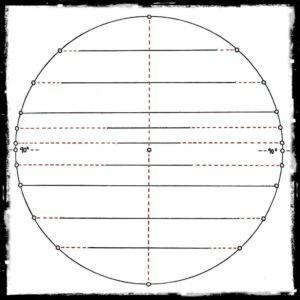 Prior to creating each piece, the intended design originates as a hand drawn diagram – First in sketch form to ascertain its feasibility, then as a completed scale drawing (with accompanying measurements and areas of shading considered). 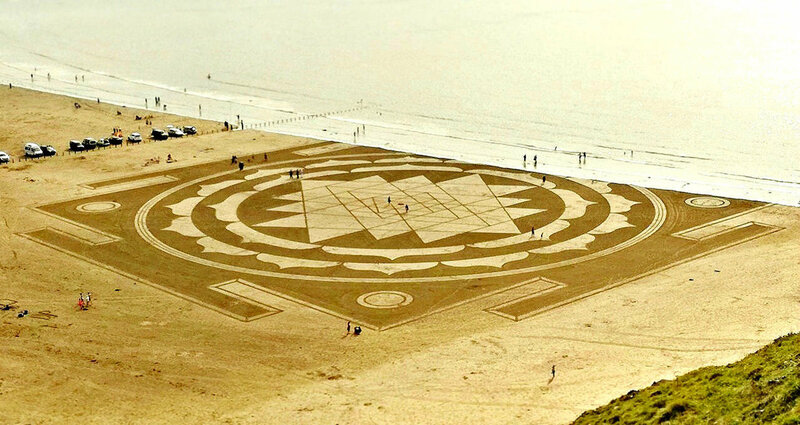 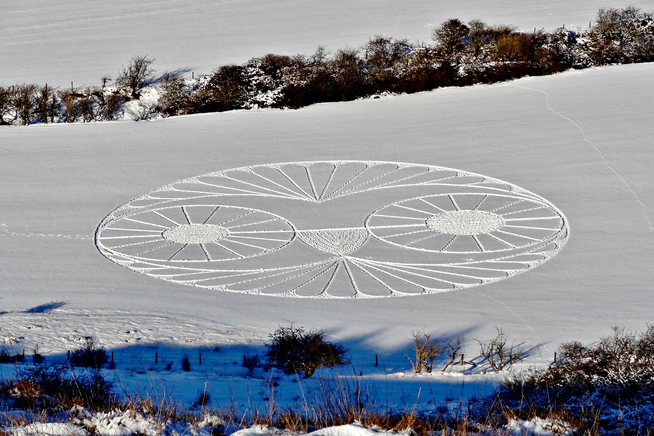 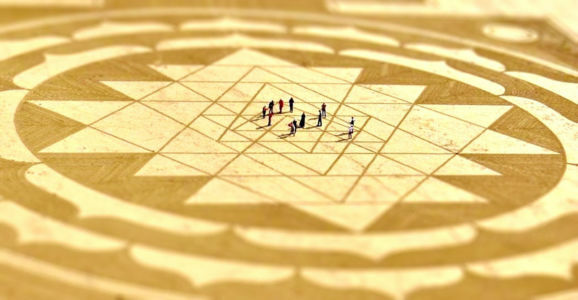 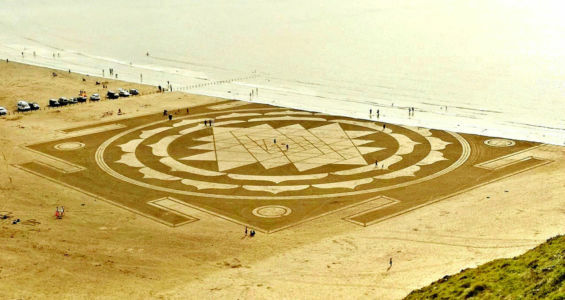 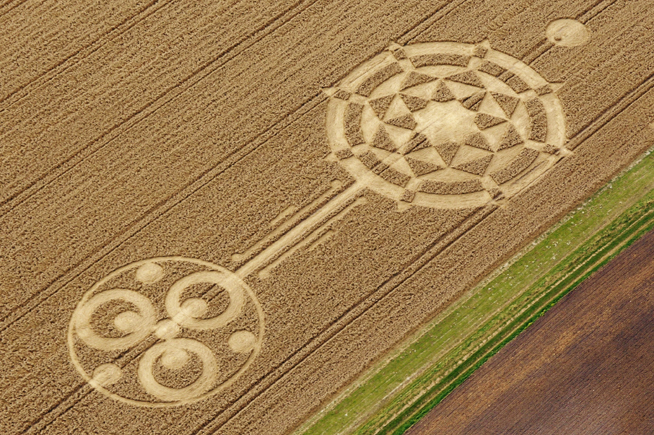 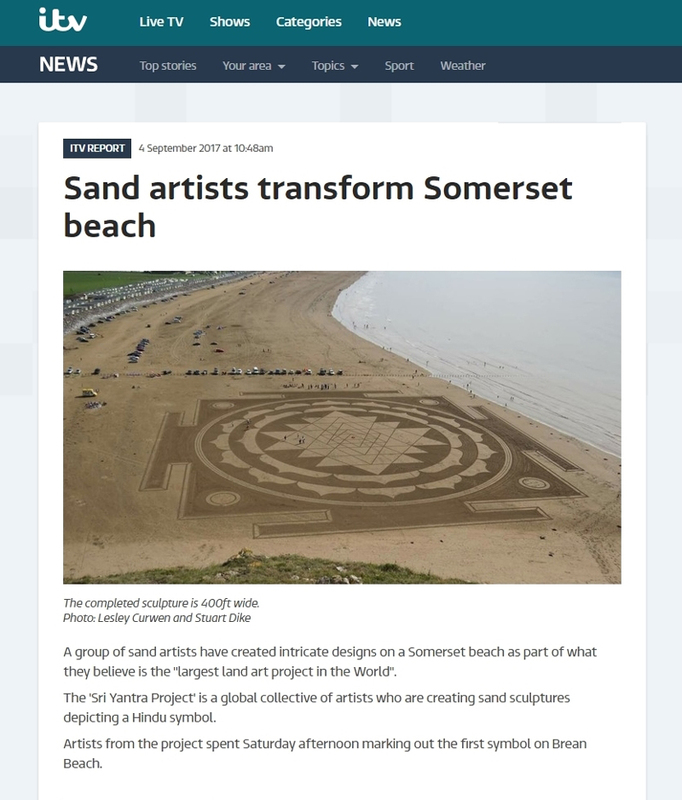 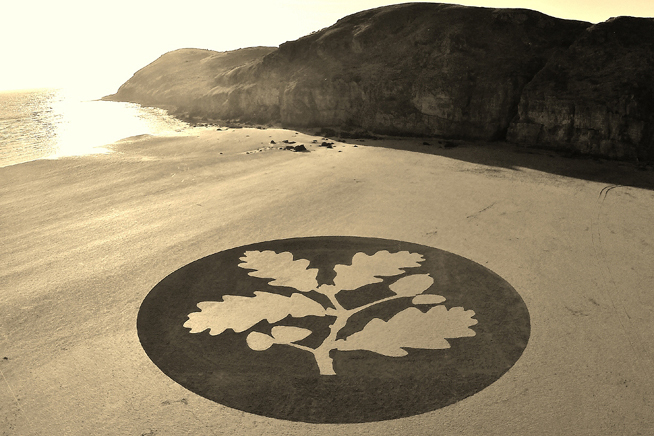 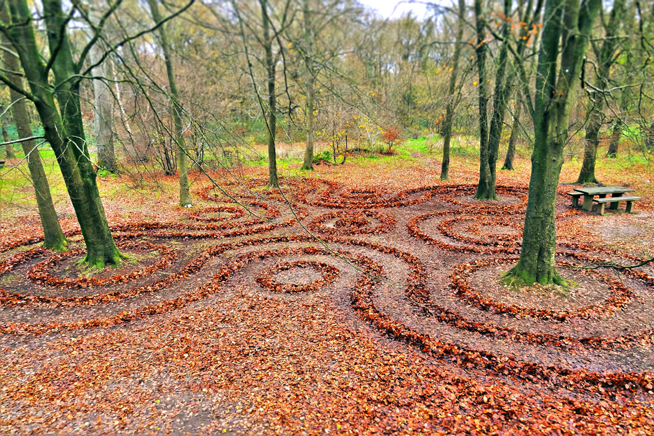 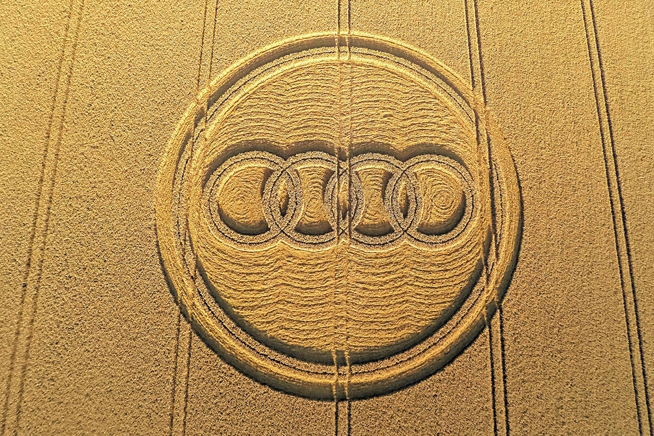 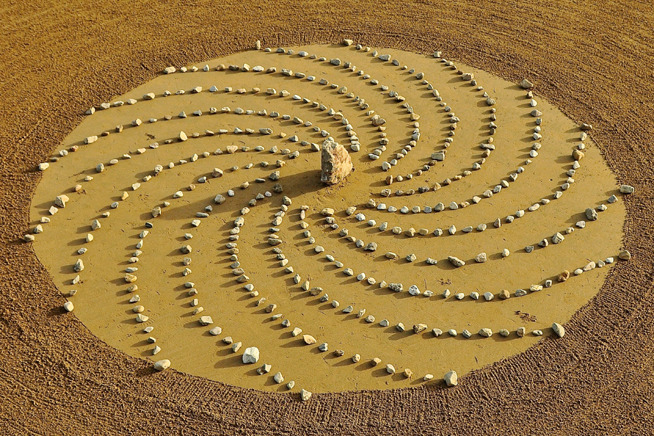 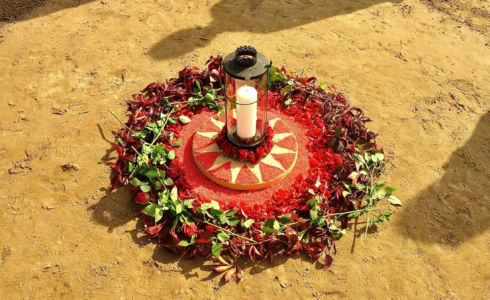 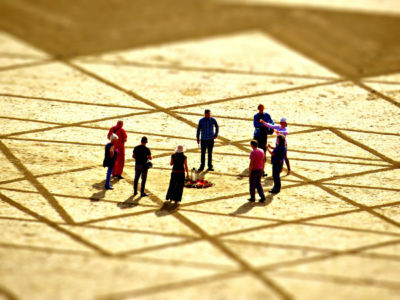 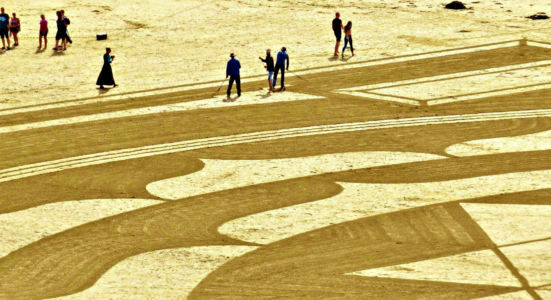 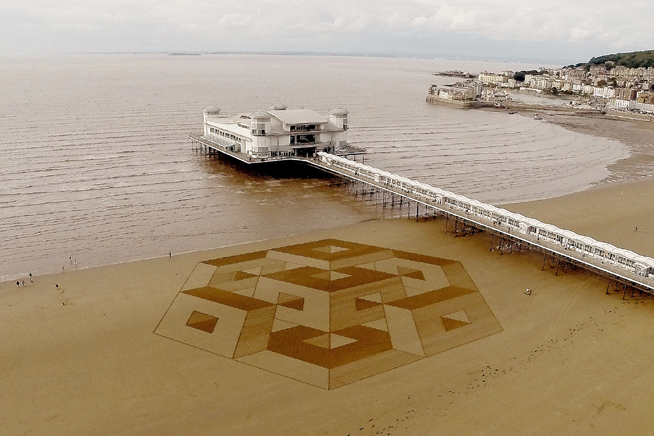 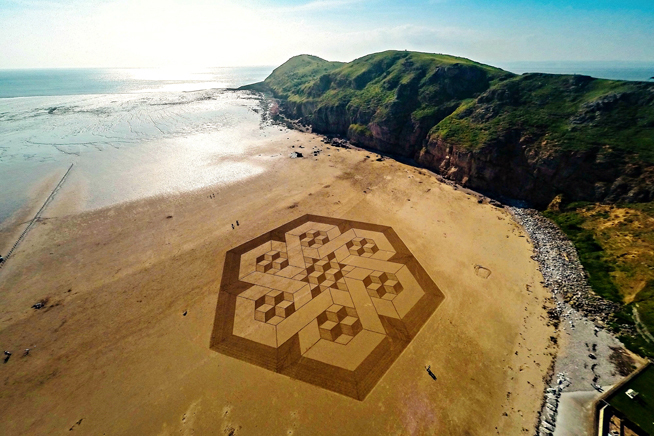 Ironically, more time is spent designing each piece of land art than actually making it! 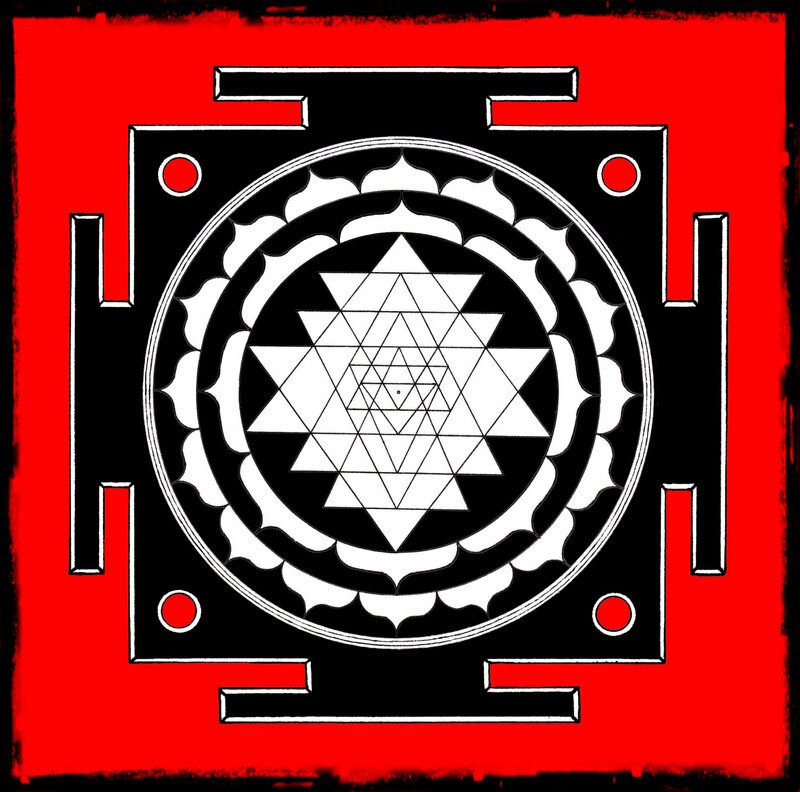 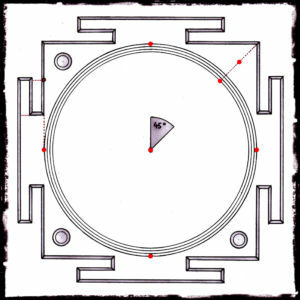 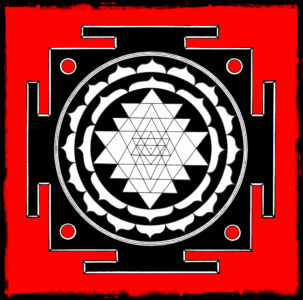 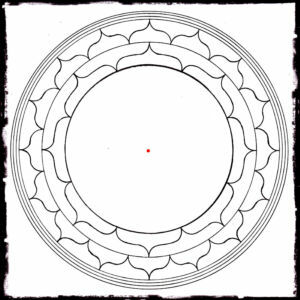 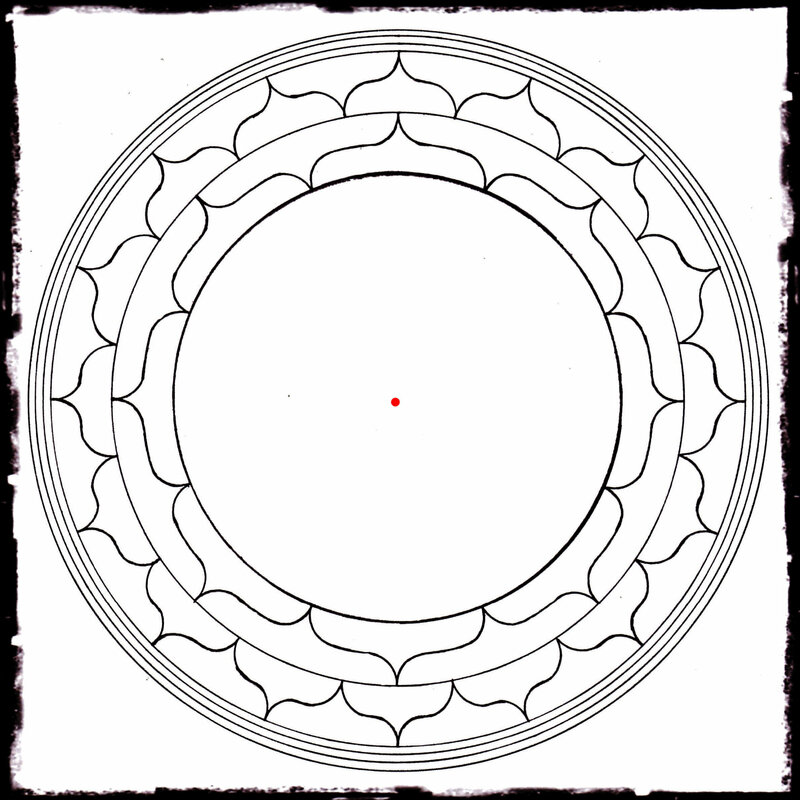 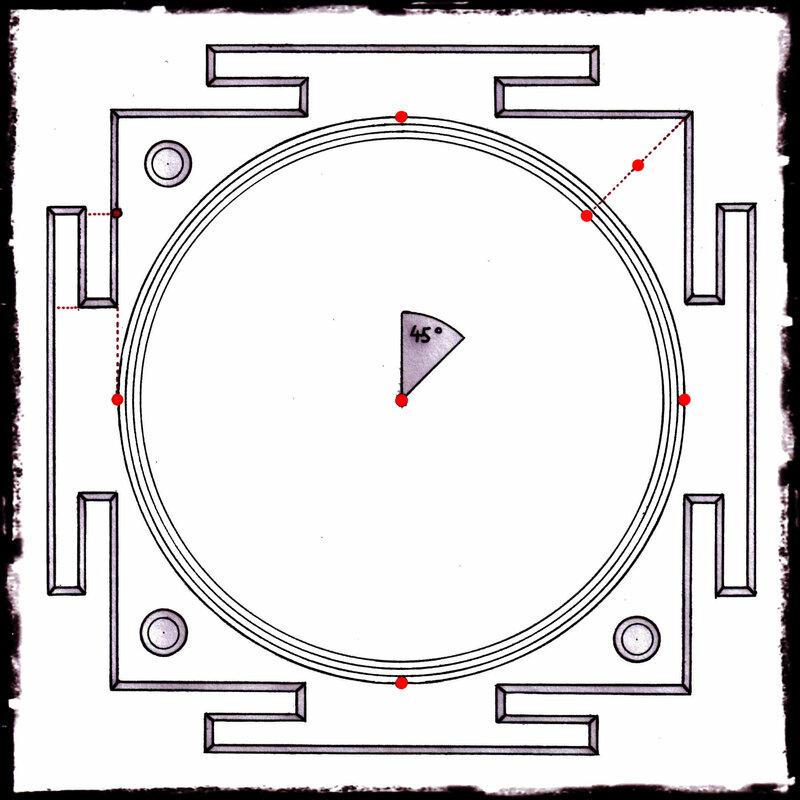 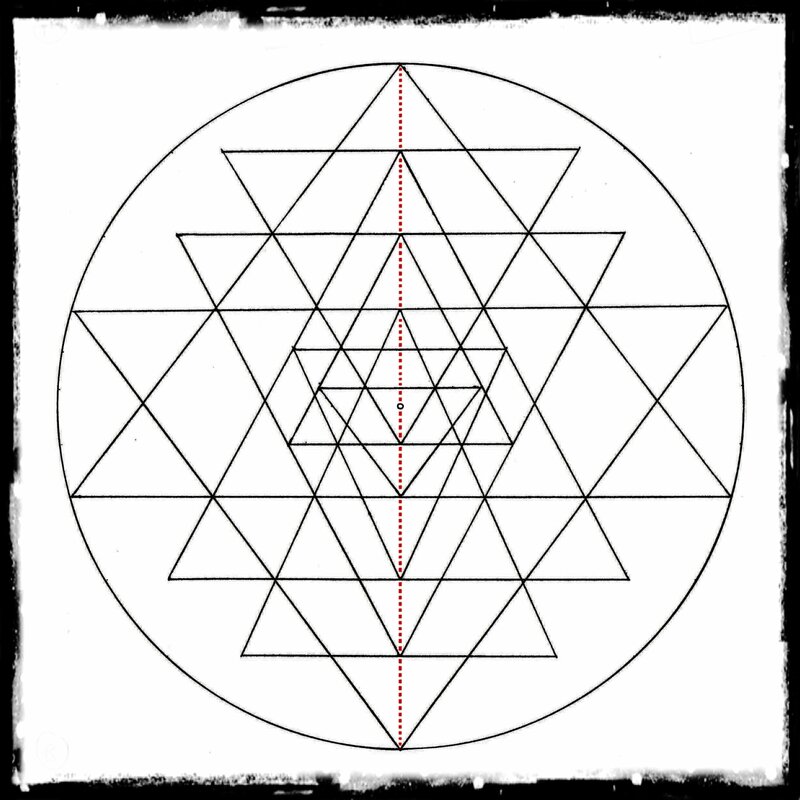 In order to better understand the Sri Yantra’s geometry, I first decided to deconstruct the symbol back down to its component parts. 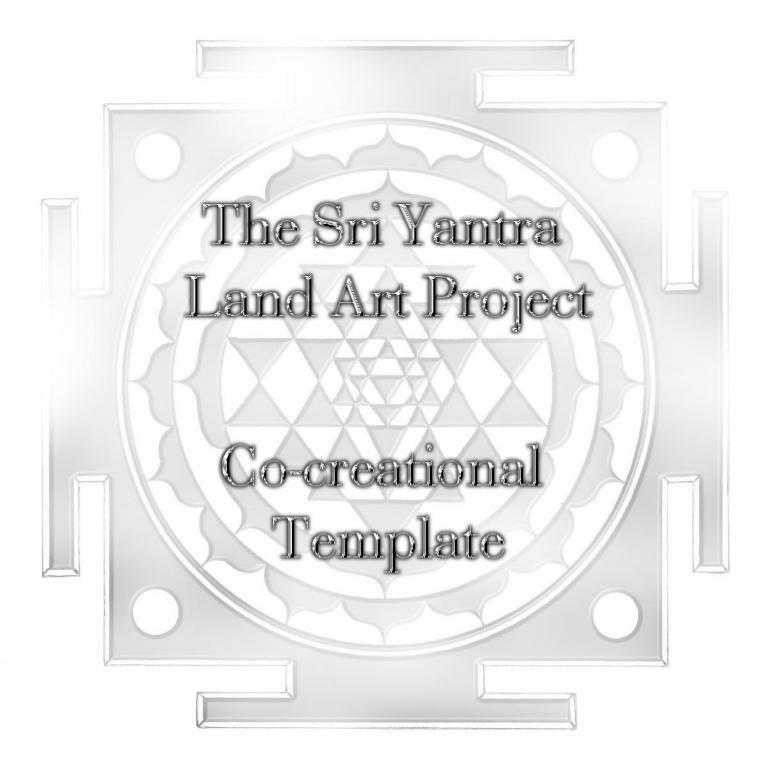 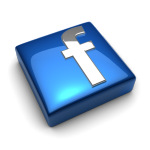 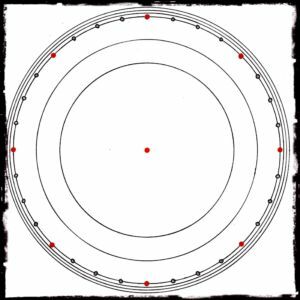 This process is particularly useful when creating anything complicated, as it simplifies a design, making it easier to explain to others, and provides a logical and efficient construction order to follow on the day when time is of the essence.